Meta Trader 4 is the most preferred trading platform among forex traders in the world with its ease of use and outstanding award winning features. 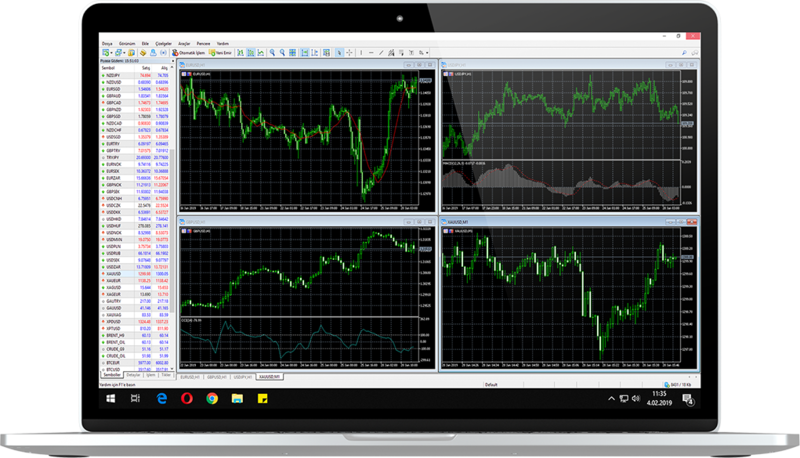 MT4 infrastructure provides access to a variety of instruments from a single platform which allows you to access everything you need in the forex world with a single click. With Merit Forex’s tight spread pricing, superior quality of order execution without dealing desk structure, you will be taking advantage of best service combinations to access a wide range of trading instruments. With Merit Forex mobile applications, you will have functionality and performance in your hand. You will have the ease of access to the market movements, trading and analyzing the price changes of a wide range of trading instruments straight from your smart device. It gives the client full management of trading account no matter where you are. 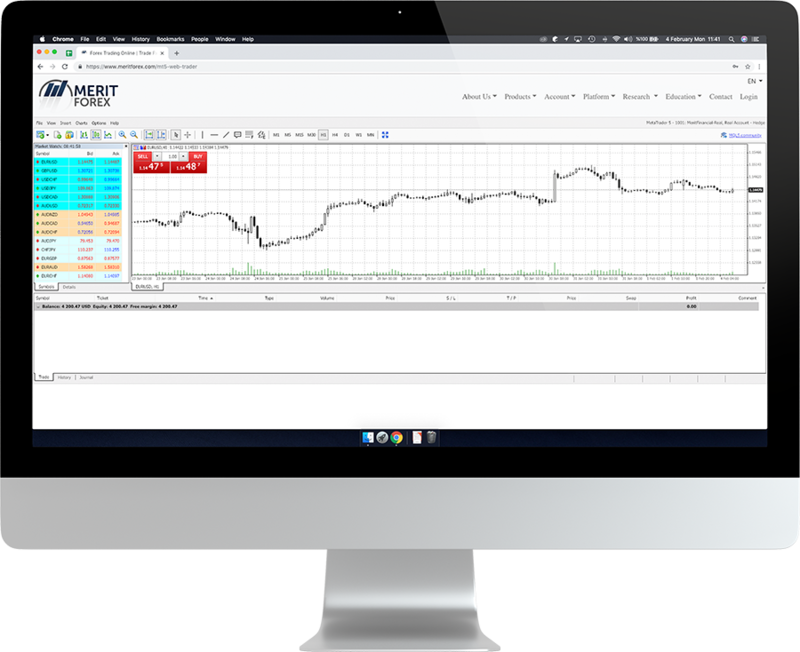 MetaTrader 5 platform is the new generation trading software, employed by Merit Forex to enhance the trading experience of their clients and elevate their trading skills and knowledge to the highest level. On MetaTrader 5 you can trade everything, from forex to commodities, futures, indices. It is powered by Merit Forex True ECN connectivity which makes it the most reliable and precise trading platform. MetaTrader 5 inherits the MT4 features and yet improves and expands them by adding more flexibility and benefits to the traders. Trade with the most modern and contemporary designed trading platform. To test it out just download, install and start trading! 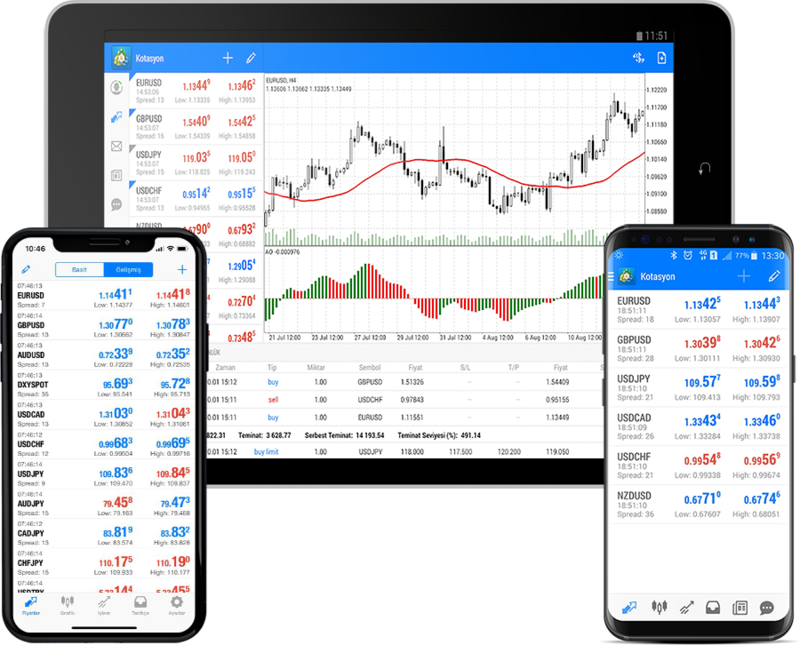 • Merit Forex mobile Meta Trader 5 can be installed on all mobile devices running on iOS and Android, and in this way the clients can trade in the global markets without necessity to access their computer, and yet having at disposal all tools and features of their trading accounts. • The new Market Depth enables each investor to examine the security quotations giving an aggregated view of them. Meta Trader 5 Web is the latest and most technologically advanced platform that makes possible to trade on Forex, futures, indices, commodities and crypto currencies markets just with the use of the browser (all types) and operating system like Linux, Windows and Mac. 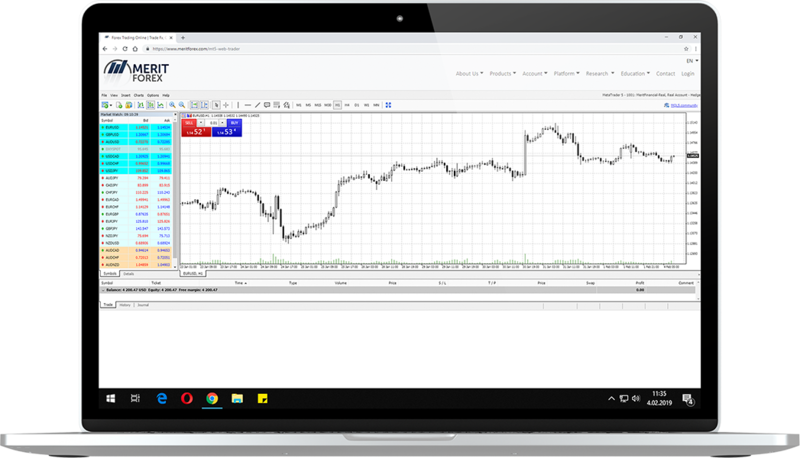 The traders have an instant access to the rich set of functions built in the Meta Trader 5 desktop platform directly on the web without the necessity to download and install any application. The access to the trading account is easy and at a couple-of-click distance and trading is safe due to the data encryption. On Meta Trader 5 Web Platform the traders can place all kind of of market and pending orders, trade from currencies to cryptos with one click from the Market Depth window, and use all trading features and instruments at any time, from any place and from any browser just needing a good internet connection!